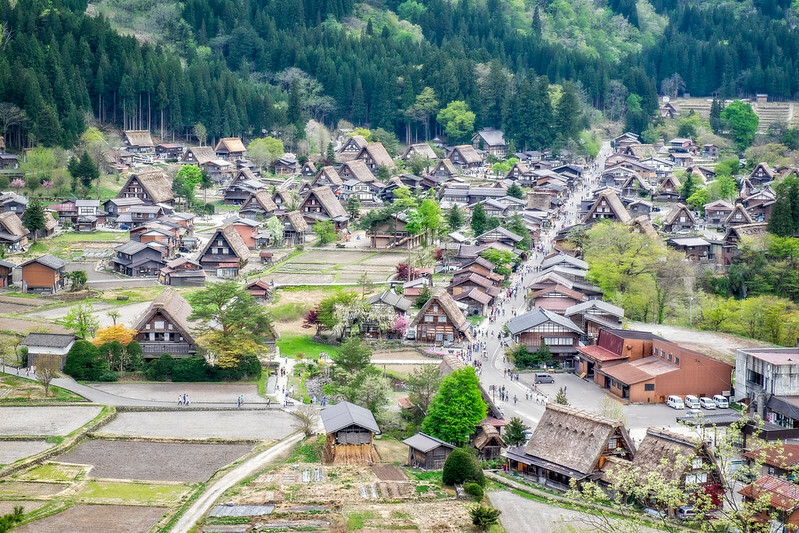 Shirakawa-go is a small village located in the North of the Gifu prefecture. 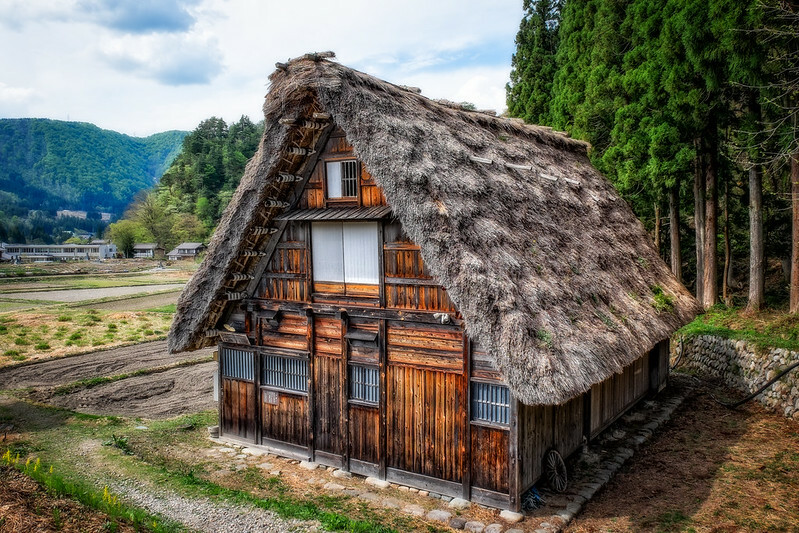 It was awarded the status of UNESCO World Heritage site in 1995 for its gassho-zukuri style farmhouses, with their distinctive steep thatched roofs. 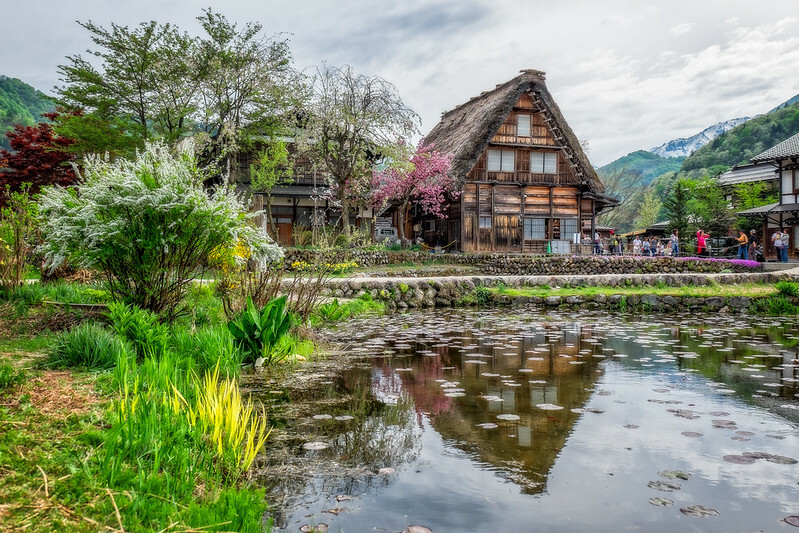 Shirakawa-go is located in a mountain area, surrounded by a river and some rice fields, so the scenery will change a lot depending on the seasons. I went there during Golden Week this year with my relatives who were visiting from France at the time. I would say it is probably the worst time of the year to visit anywhere in Japan, as there are several national holidays tied together, meaning any place worth checking out gets overcrowded. 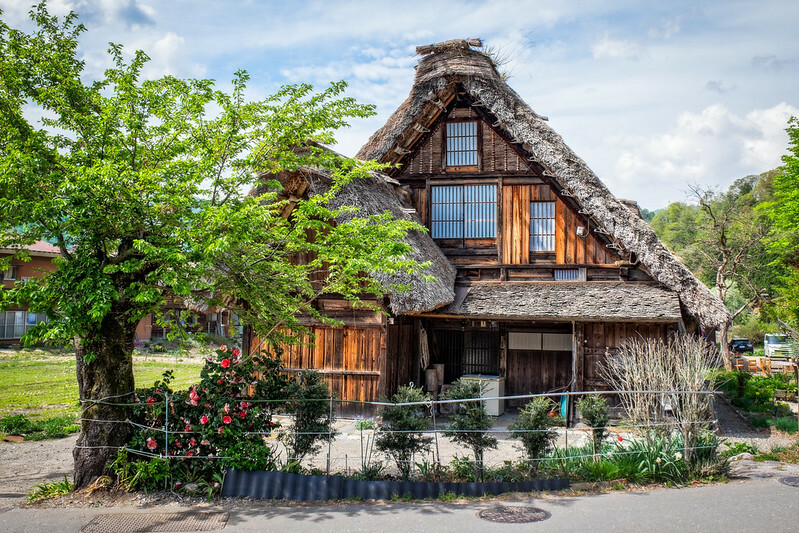 We were visiting Shirakawa-go as a day trip from Takayama, and in fact the whole area was so crowded that we spent around 2 hours stuck in a big traffic jam at the entrance of the village. Something to be expected during Golden Week for sure, but that basically meant that we had to rush out time there while the heat was at its peak of the day, and we got back to the bus stop way earlier than scheduled as we could not afford to miss the last bus in case too many people wanted to get onboard. This proved to be a smart decision. 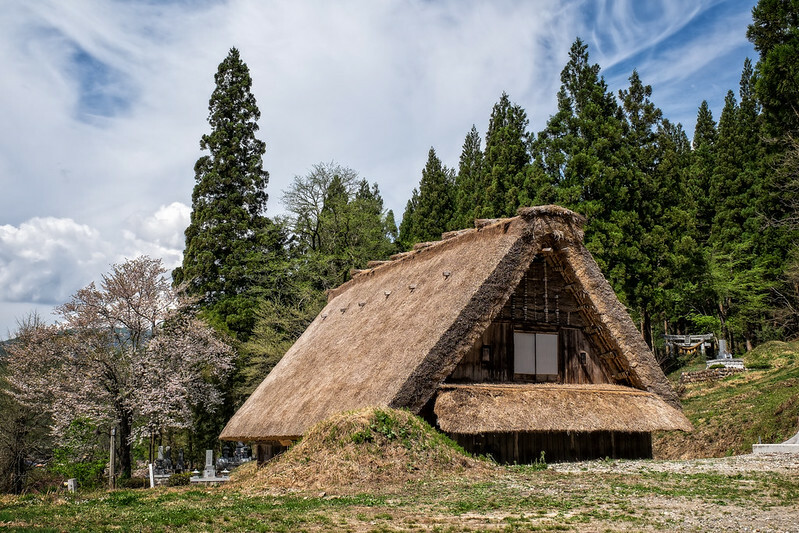 After this first rush-hour visit, I am definitely planning on coming back to experience the area in better conditions, sleeping overnight in one of the gassho-zukuri style farmhouses when the region is covered with snow in Winter.